My last post, which was basically about having gratitude for the amazing technology we are surrounded with and not taking it for granted, came back to bite me a few hours later. I found myself in a cafe with my friend Steve, both of us moaning and complaining that we couldn’t get onto the free wireless there. I’d become a hypocrite in such a short space of time! But that’s beside the point. I’m currently sitting in the office, watching the rapidly fading winter light outside, absolutely shattered after hosting the latest Nocci event. It was a “co-production” with Cardiff Web Scene, and was an Ignite event. 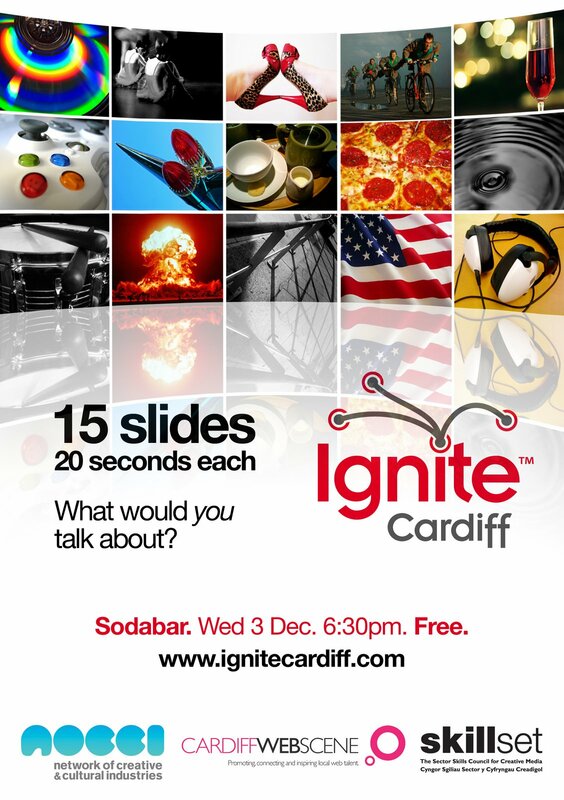 As explained in one of my recent posts, Ignite is a rapid presentation evening. We had six speakers, all of whom had just five minutes in which to get their idea/passion/thoughts across to the audience. 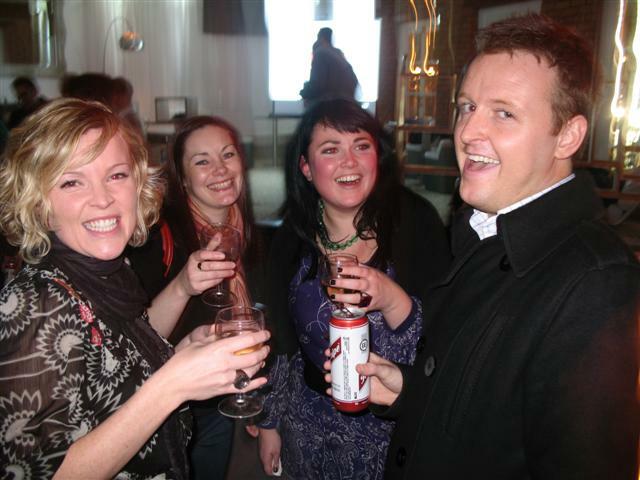 We had a great turnout of over 90 people, all of whom seemed to enjoy the free beer (thankyou Skillset! ), had a great laugh at the presentations, learned some genuinely fascinating stuff, threw paper airplanes (see video below) and networked and chatted late into the night. Check the Nocci site over the next 24 hours for all the pics. Before I finish I must particularly mention my co-conspirator, Claire Scantlebury, for being a joy to work with. And Wayne Full from Skillset for all his help. He’s a star. Oh, and if you’re having a tough week then maybe you fancy slapping someone around the face with a fish…? Or you might prefer to go water zorbing with some glamour models. Anyone fancy buying this one for me?